Canadians are getting hosed at the pumps, outside of someone named Zoe that doesn’t have a car and thinks oil is evil, I doubt I could find many Canadians that would disagree with this statement. 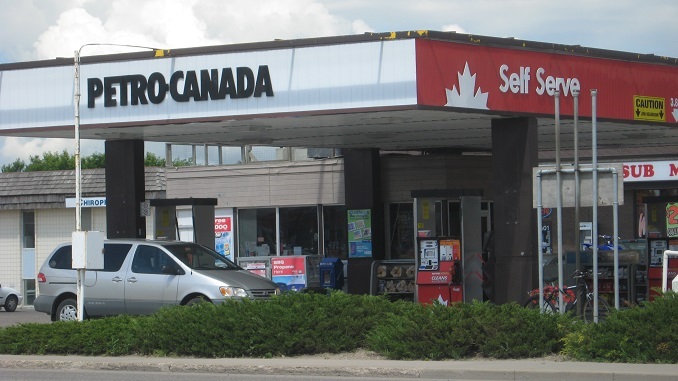 In Ottawa we are paying 20-24 cents a litre more than we were a year ago, yesterday my local Esso was 38 cents higher than an American station in Ogdensburg, NY, about an hour’s drive from the nation’s capital. Across the country prices vary – $1.27.8 is the lowest price in Halifax right now, in Montreal $1.35.8, in Ottawa the lowest is $1.20 but the average is $1.32, in Regina it is $1.20.3 , in Edmonton the average is $1.28.1, and in Vancouver it is $1.59.4. Those are some pretty wild swings and when I ranted about them on Facebook, wow did people get angry, why are we paying 38 cents a litre more in Ottawa than a small New York town just south of us? That works out to $23 on a 60 litre tank. As I mentioned in my Facebook rant, Dan McTeague from GasBuddy.com puts much of the blame for this, not on big oil but on bad government policy and protesters that are living in fantasy land. We can’t use our own oil in Eastern Canada so we import from places like Saudi Arabia, Venezuela and Nigeria. Countries with less than stellar environmental records pump their oil and send it down the St. Lawrence in tankers that see no protests. Meanwhile, any attempt to use Canadian oil in this country or get it to market is shut down. Any attempt to even refine our own oil in this country is met with protests. The lack of refining capacity is helping keep our prices higher. Listen to my chat with Dan McTeague as he explains how bad government policy keeps the price high and makes you afraid to go to the gas station. Remember it is called “ONTARIOWE” STUPIDIS AS STUPID DOES, HELL 300$ FOR AN I PHONE, I PAD, ETC,, millenials??? Yeah the money Trudeau gave away would have built several refineries and we would not be at the abysmal end of the road. alex/geo soros are playing Canada like a fiddle, and are not even citizens. Green Energy to take down Ontario….money paid to soros company. bo in the USA….into $20 Trillion debt. Where did all that money go?????? Venezuela for decades sold their own oil and gas at the pumps for 25 centavos which is few cents US. Now, after decades of very low prices, dictator Maduro has raise the gas prices to about 60centavos and the top supreme for 1Bolivar..
And here we are, in canada, one of the largest oil reserves in world that will last us for hundreds of years cant sell our oil and gas for cheaper price because of some environment BS nonsense. We should be proud and grateful that we are Blessed with such resources to last us a lifetime whereas many countries and islands in the Caribbean rely solely on tourism for survival. Can you imagine to any of those islands survival had they mistreated their guests? They ( guests will spread the news and most likely discourage people from visiting that island. Well, we are doing the same thing here in canada by discouraging businesses to take root because of the high taxes and constant regulatory rules. No one wants nor can afford to work in that environment.